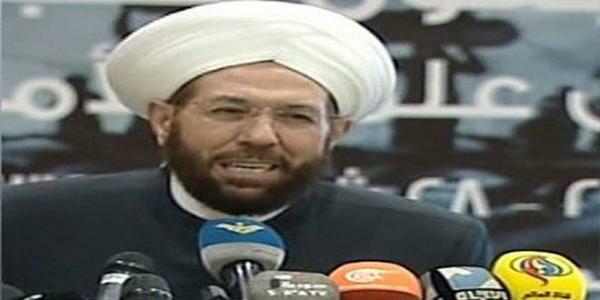 Grand Mufti of the Republic Ahmed Badereddin Hassoun stressed that Syria has preferred to embrace the resistance even if it will pay a high price for that. In a speech during the Conference of the International Union of Resistance Scholars in Beirut on Monday on the 70th anniversary of Palestinian Nakba, Hassoun said that Syria has always supported the resistance and if it gave up this support, it would have become one of the pioneer states economically and this entails from the Islamic and Arab world to realize the reality of the schemes hatched against them. He added that 110 states have conspired against Syria to destroy it and that the repeated Israeli aggressions on it aim at preserving Israel’s tools of the terrorist organizations which are collapsing thanks to the heroism of the Syrian Arab army which will continue its task till eradicating the last terrorist from Syria. “Today we are standing before a dangerous turning point as the Gulf regimes have granted jobs and nationality to the Palestinians to forget their cause,” Hassoun said. He added that whoever gives up al-Aqsa Mosque and occupied Jerusalem will give up Mecca.